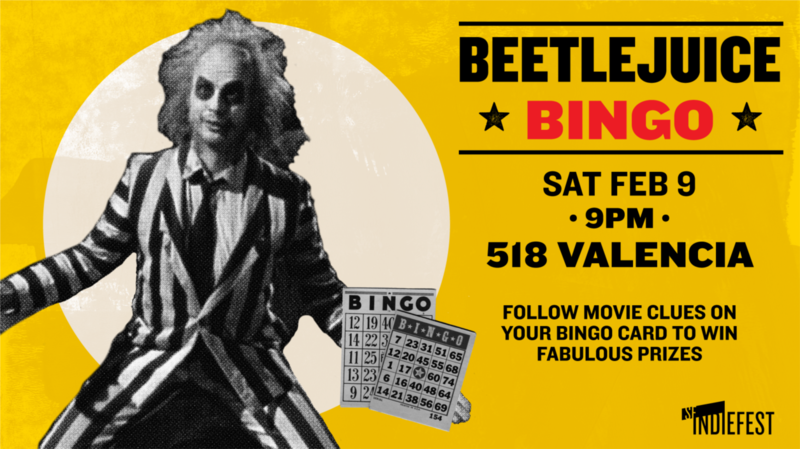 Look for movie clues on your bingo card and win "fabulous" prizes! Your ticket includes: the screening of the film, a bingo card, aformentioned opportunity to win prizes and a very good time. 21 up show. Consult your Handbook for the Recently Deceased for more info.